This ‘friend’ of a word has to have been overused and/or is starting to lose value or I just never understood the word. Everyone you meet now wants to be referred to as friend. Even that one that doesn’t know more than to vibrate (PING) your phone only when he/she is in need of something and that would be the last time you hear from such person till another need arises. You know those waiting for you to change your dp on messaging apps? Waiting for you to be the first to initiate conversation… Nah, those ain't friends, are they? How did we get to the point of calling those friends? Please tell me. I remember going to Ondo town some months ago. There was no power and I had to go buy fuel at the station nearby. While waiting to be attended to, this kid came to buy fuel too. He must have been between 9-11…smallish with the proper street boy look and gear. He saw another kid going down the road and immediately holla’d “Hey, you’re going down this way right? Let’s walk together”. He had the flat plate and 'iron-rod vehicle' kids roll around as their car which he gladly handed over to the other kid he called over. They bonded immediately. To gain company, he was ready to give up his ‘street vehicle’. The other kid was ready to wait till he got the fuel and they could both walk down home. They both had something to share. I don’t think I’ve seen anything better than that in my life. It was wonderful and organic. The something to share (give and take) nature seems to strike me as what friendship is about. 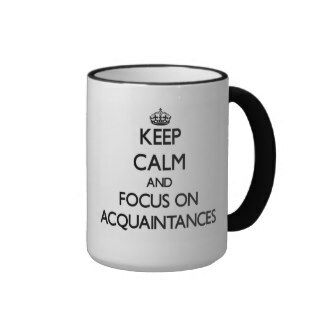 In other to accommodate the people you meet every day with nothing really to share, I think we need to approve of the words ‘Acquaintance’ without feeling bad. I mean if you are just going to sit down there pretty, waiting for one person to always reach out to you then you guys are probably mates/acquaintances. Nothing more. *Starts making Friend’s list* Really, I miss the days of organic friendship (The street vehicle part mostly) not the politicized friendships we have in this ‘adulthood’.